If anything's become apparent in our global consumerist society, it's that marketing stunts, shock n' awe statements, and captivating artistry is what sells merchandise, not the quality of the product itself. Upstanding musicians writing honest lyrics over time-honored instrumentation have no place in our forever-progressive, multiculturalist age of tomorrow. Good gets nowhere. Yet, it's that exact goodness, when sustained over time, that marks the true value of one's input. Beach House is the quintessential benchmark for that belief. 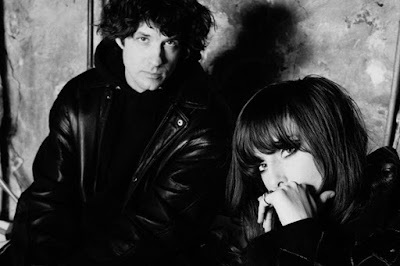 Monopolizing an entire genre (Dream Pop) more than any single artist can contend, Victoria LeGrand and Alex Scally have eternalized themselves in the Indie canon with seven favorable albums that extol consistency. On 7, the album with no name, that track record consecrates. Rigorously fine-tuning their approach, nimbly adjusting the parameters of Dream Pop, Beach House has once again asserted their status in the legion of Indie's upper echelon. Expectations were high following the press release of 7. Beyond the mysterious title, the duo promised a style more grand and eloquent (think Teen Dream, Bloom), discarding any previous limitations set, and one that came naturally, not by force (think Depression Cherry). 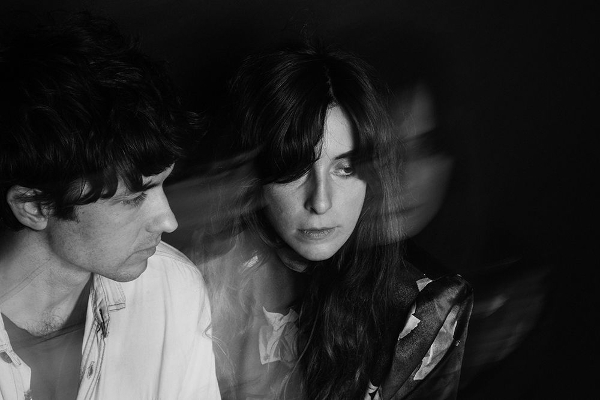 In essence, 7 aimed to be a conglomeration of ideas both past and present, as Beach House also made mention of the impression "societal insanity" had during the recording years of 2016 and 2017. With these stepping stones marking the path, the pieces were in place for another excellent, and more importantly (following the great, but desultory Thank Your Lucky Stars) impassioned, record. 7 gives us the halcyonian period of Beach House's salad days (in the warm 'L'Inconnue' and shimmering 'Lose Your Smile'), their booming and beloved stage (with 'Woo's' tender affection, 'Girl Of The Year's' mesmeric roar), and their recent maturation process (through 'Drunk In LA's' pictorial calligraphy and 'Dark Spring's' embrace of caducity). It's an album that marks a transitional period by reflecting back on all their previous accomplishments. Looking beyond the surface, this career-long reflection walks hand-in-hand with 7's predominant theme; love as the one true eternal. Since discussing mortality, memories, and mementos on 2006's Beach House, LeGrand has always shown a fascination with our fleeting concept of time and the morbid beauty that can be had within it. 7 takes these steps even further, romanticizing entire lifecycles, sentimentalizing the aged, and dignifying one's most meaningful days. 'Dark Spring,' the album's opening track, sets into motion this ideology by presenting our universe through the lens of an exploding red giant, one who, despite archaic, still bursts vividly with a saturated combustion. 'Black Car' continues this principality, bearing lyrical similarities to Depression Cherry's magnificent closer 'Days Of Candy' in that, as one's time slips away, their perception of everything else does too. However, it wouldn't be a Beach House record without divine depictions of love, both with a significant other and one's nostalgic past. The sultry 'Pay No Mind' and sullied 'Lemon Glow' deal with the wishful candor of courtship, while 'L'Inconnue' and 'Drunk In LA' directly rhapsodize rose-tinted memories, etching them into a stone that marks an endless slumber. All these ideas culminate in the final two songs; 'Girl Of The Year' and 'Last Ride,' which act as a two-part manifesto correlating the themes handled prior with the hapless life of one Edie Sedgwick. Andy Warhol's beguiling Factory Girl, known unofficially as 1965's Girl Of The Year, compliments Beach House's aesthetic flawlessly. She was dark, beautiful, and troubled, and met a fate (at the age of 28) apt for a struggling Pop icon. Captured earnestly in LeGrand's words ("you slide out on sunset, head west on bedrest, on your own"), Sedgwick's tragic end acquaints itself quite intimately with 7's concept of life and death. This idea is preserved on 'Last Ride' with lines like, "blonde your hair, fake eyelashes" and "there she goes, the sun went bad, the cycle ends." On the whole, 7 may be LeGrand's strongest assortment of lyrics yet. 'Drunk In LA' alone is littered with glamorized poetry reflecting on one's happy, yet tormented life. Much of LeGrand's elegance translates competently into the production, which has always been Beach House's bread and butter. Even though the permutations are meager, I'd argue 7's actually the duo's least deviating project since Teen Dream transcended their sound in 2010. That's not necessarily a negative, as 7's paradigmatic production revels in refinement rather than evolvement. Scally's luscious guitarmanship on tracks like 'Pay No Mind' and 'Dive' hits you like a wave of velvet, while cloudy synth drones tinker with the puppet strings over songs like 'L'Inconnue' and 'Girl Of The Year.' The combination of these elements, mixed with LeGrand's pacifying vocals - often coated in seemingly infinite layers, like 'L'Inconnue' and 'Last Ride' - create a soundscape that rivals Beach House's best works. Only the prickly 'Lemon Glow,' which in retrospect - after being 7's lead single - sticks out like a sore thumb, unlike the glistening one found with 'Sparks'' Shoegaze. Really, 7 hosts but three irregularities; 'Lemon Glow,' 'Dark Spring,' and 'Woo.' While the former's edgy punch doesn't elucidate Beach House's aesthetic, and 'Dark Spring's' carbon copy of Candy Claws feels oddly imitative, 'Woo's' inclusion of honeyed 80's Synthpop and statically subliminal samples is a match made in heaven. One could consider 'Woo,' along with 'Lose Your Smile' or 'Drunk In LA,' as 7's top performers. That would've been the case had 'Dive' not been present. An incomparable moment of ecstasy, 'Dive' not only represents the penultimate climax of 7's ideas, it is Beach House's best work to date. An illustrious achievement given their knack for stunners, including 'Take Care,' 'Sparks,' and 'Myth.' After 14 years of being a band, 'Dive' feels like a four-minute compressed version of everything they've achieved, what with LeGrand's longing vocals about finding love, Scally's spaced-out guitar strokes, and that emblematic second half which bursts with enthralling energy, passion, and elation. 'Dive' is a masterpiece of Dream Pop, and it's of no surprise that the piece sits confidently at 7's apex. With LeGrand's focus on finding unbroken love, cherishing reminders of the past, and understanding the permanent motion of time, 'Dive's' second half acts as the absolute summation of what it feels like to embrace all three at once. Unlike all their previous albums, 7's understated title doesn't intend to explain the criterion for Beach House's existence. 14 years into their career and they've finally accepted that reinvention isn't necessary when you're at the head of Dream Pop's pantheon. On 7, they own that sanctuary. Saba - Care For Me? Didn't listen to Saba's previous stuff so I didn't feel knowledgeable enough to review it. However, I listened and loved. Right up there with Young Fathers' Cocoa Sugar as my favorite Hip-Hop AOTY so far. Glad to hear! You would do just fine reviewing it even without listening to his other stuff. Definitely his best work yet, no doubt.